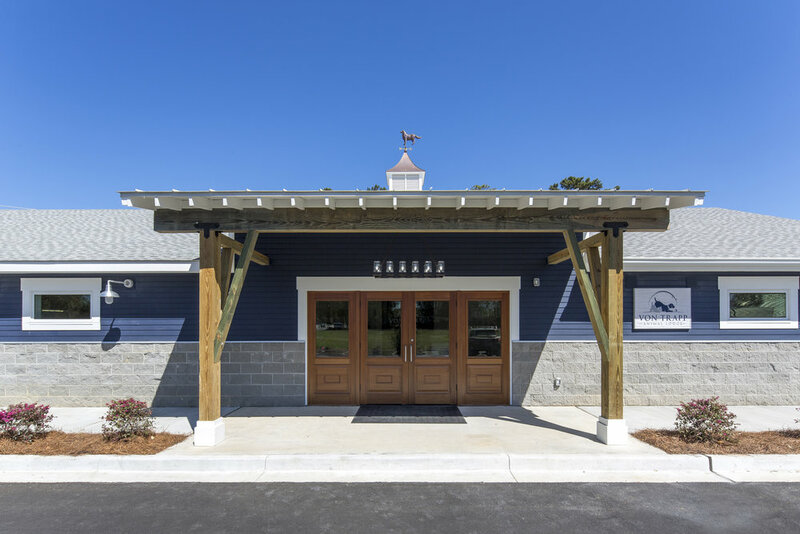 Our Animal Lodge is proud to offer one-of-a-kind daycare, boarding, and rehabilitation services for dogs and cats under the close supervision of a licensed veterinarian. Studies have shown us that living with pets relieves stress, promotes social interaction, and improves our own emotional and physical health. At the von Trapp Animal Lodge, we give back to our selfless companions - pets give us so much yet they ask for very little in return. Allow your furry friends to experience our unique pet retreat, which provides alternative sources of pain and stress relief as well as the opportunity to safely socialize with other animals, all while you’re at work or on vacation. Betsy von Trapp is a native Savannahian. She went to vet school at UGA and worked briefly in Boston, MA following vet school before returning home. After a few years in private practice she found her passion for veterinary rehabilitation and the idea for the von Trapp Animal Lodge emerged. Betsy enjoys spending time with her husband, Jake, and her two children, Isabella and Jack, as well as spending time outdoors and reading. Betsy has two dogs, Berkeley and Oscar, whom you will likely see around the clinic. 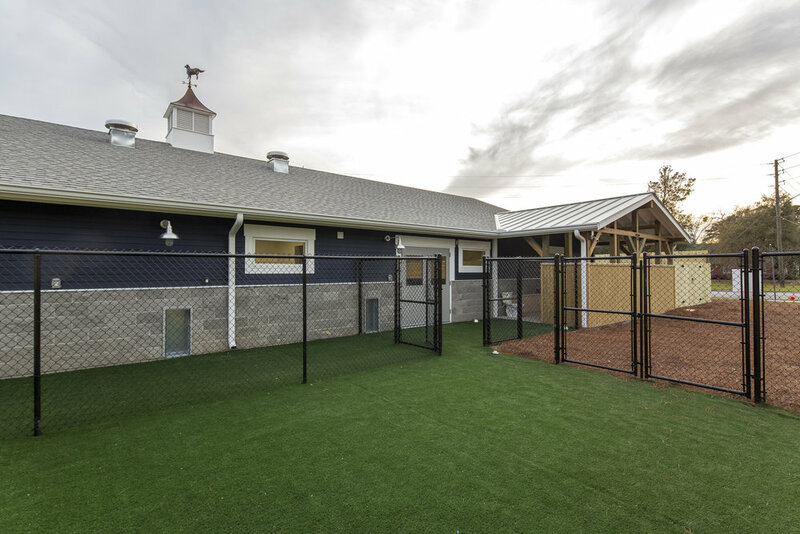 They have been her inspiration to provide local pets a fun, safe and stimulating place to spend their days. Raquel has a degree in Engineering from Michigan State University and throughout the years has developed her managerial skills as Operation Manager for a local contractor and client relations in high end hospitality. Raquel and Randall moved to Savannah 13 years ago with their four dogs, and currently enjoy taking their two new pups, Ben and Ava, to Hunting Island to pounce around in the waves and burn a little energy. Animals have always had a special place in Raquel's heart, and the von Trapp Animal Lodge is happy to have her on the team as the Office Manager helping to provide fun, relaxation, and rejuvenation for your beloved four-legged family members.